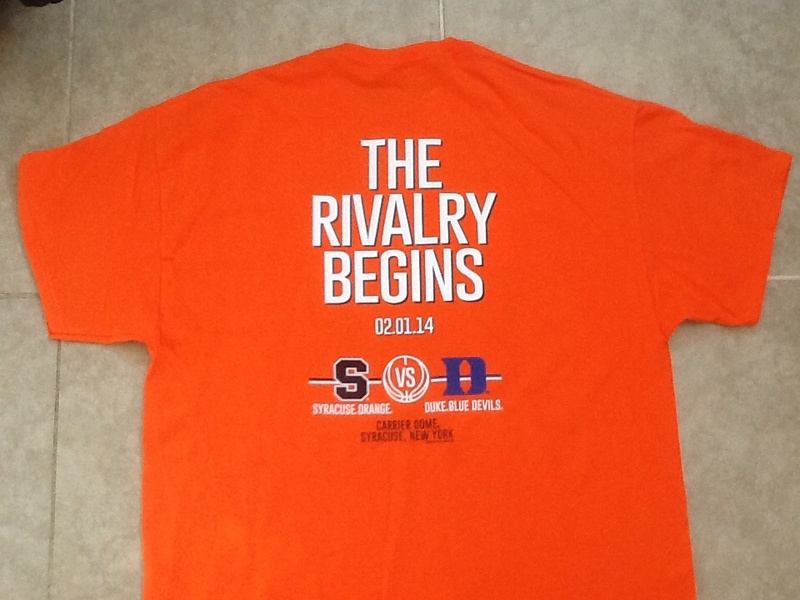 Tomorrow begins what should be a great tradition… an annual (if not bi-annual) Duke vs. Syracuse game. Coach K vs Coach Boeheim at the largest on-campus arena in the country. It’s going to be electric. Syracuse is undefeated which only adds to the drama if I know anything about big games at the Dome – it’s that the LOUD HOUSE is going to live up to its name tomorrow. There will be a record crowd at the game, breaking the mark for largest attendance at an on-campus venue already held by Syracuse. Every time I watch a game at the Dome, I wish I was there – even those early season non-conference games. Tomorrow is going to take that feeling to another level. The buzz on campus is infectious and I know exactly how everyone in the 315 currently feels – ripe with anticipation. #BeatDuke signs are everywhere, including on the Campus Connection buses. Tomorrow is one of the days that makes Syracuse the only place you want to be, even though it’s the dead of winter. I wasn’t thrilled about leaving the Big East but playing Duke every year is without a doubt the best part about joining the ACC. The storied histories of both coaches and programs will yield a great game every year and both teams desperately want to take the inaugural match-up of this new rivalry. 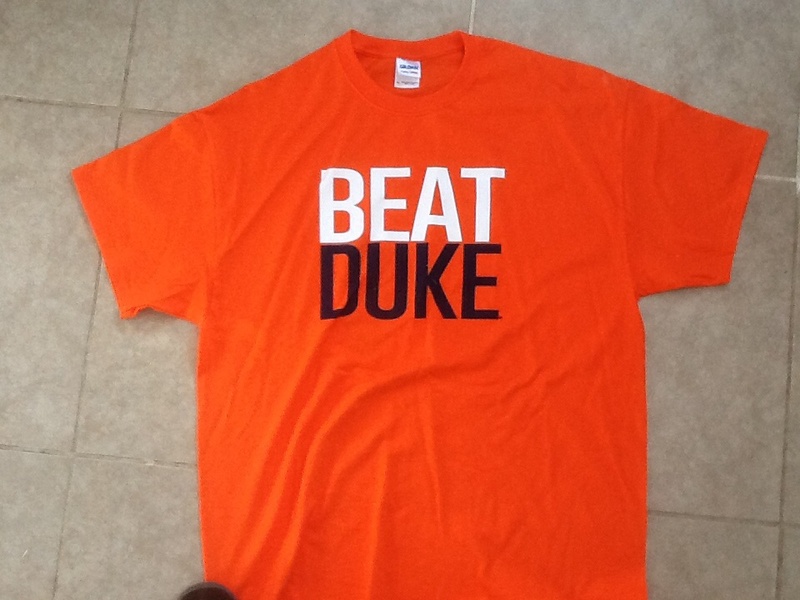 I love the way that Cuse has played all season… I think we will #BeatDuke and improve to 21-0. That would be our best start in program history. It’s going to be a very tough game played with a lot of intensity but our crowd and consistent play should will us to victory. No matter the outcome, the scene at the Carrier Dome will make me very proud to be a S-U fan. A very clever and enjoyable way to relive the entire 2013-2014 NFL season. I had heard a couple of Disclosure’s songs in some mixes over the past year but I officially discovered the group last week. After listening to a handful of their songs and mixes, I’m a huge fan. They are going to blow up this year and take electronic music even more into the mainstream than it already is. Disclosure’s fusion of deep house, garage, two-step and minimal is right up my alley and I’m surprised it took me so long to discover them. Sam Smith’s vocal on this particular song is also sensational. The group consists of two brothers and they have been touring in the US recently, including a fantastic show at Terminal 5 in New York City. I predict they will be a household name in pop music very soon. It’s back! I loved the first one but this one takes the cake. Dubbing over the player intros that NBC uses is too funny and the supercut of those at the end is amazing. Also the interviews never disappoint whether it be at the podium or on the sidelines. Peyton’s was especially hilarious in this edition. We need more NFL Bad Lip readings… I think once a week during the season should be sufficient. Is that too much to ask? I know that the Golden Globes happened more than a week ago now but I’m still so happy that Amy Poehler won Best Actress in a Comedy. She deserved it and she was genuinely surprised when she won, which made it all the more special. Parks is Rec is currently the best comedy on TV in my opinion but it does not get recognized as such. Modern Family wins all of the awards and Parks and Rec has never garnered more than a cult-like following. Poehler along with the ensemble cast and writers have been good enough to last for 6+ seasons, which is an accomplishment for sure, but it’s nice to see Amy get recognized with an award. Like her best friend Tina Fey, Amy has created a winning character on a hilarious show. Tina was showered with awards when 30 Rock started out and then those awards stopped coming during later seasons. Parks and Rec, which has been consistently funny since Season 2, never received any mainstream recognition until now. (Both Fey and Poehler did an amazing job hosting as well). Leslie Knope is the heart and soul of the show and while I’ve grown to love the supporting characters as much as her, she was original reason I watched. Maybe Poehler’s victory will lead to awards for some of the supporting characters or maybe even a best comedy award for the show. Even if that doesn’t happen, I’m thrilled for Amy and everyone involved with Parks and Rec, which combines heart and hilarity so effortlessly. They’ve played many times before and the rivalry continued yesterday with a huge game at the Carrier Dome. Although both teams are in the ACC this year, there was definitely a Big East vibe in the building. 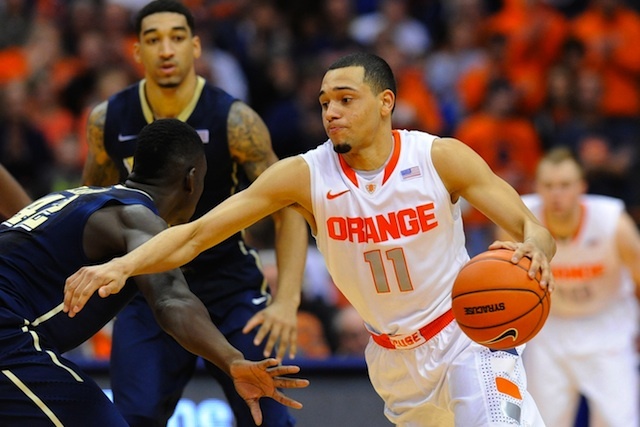 Cuse held off a tough Pitt team to remain unbeaten and secure 1st place in the ACC. I love this year’s team so much. After Carter Williams left for the NBA, I wondered how we would fill the void at point guard. Little did I know that a freshman would come out of nowhere and be even better than Carter-Williams. Aside from taking great control of the ball and acting like a senior floor general, Ennis comes up huge in big spots. His 16 points led the team (including 6 points in the final 2 minutes) and his drive and bucket with 30 seconds left helped secure the win yesterday. Most importantly, he has gotten better and better each game. Even with Ennis establishing himself, Fair is still the leader and he’s so comfortable in that role. This is Fair’s team but it doesn’t hurt to have a freshman like Ennis emerging alongside the veteran. When you have consistent play from two starters, guys like Cooney, Christmas and Gbinije feel less pressure and they can do their thing. Cooney and Christmas has improved drastically from last season and Gbinije has been a nice addition. Coleman hasn’t been healthy but he provides a presence down low that compliments Keita. We’re only about halfway through the season and the Orange still have road games against Pitt and Duke on the schedule but the thought crossed my mind about a perfect regular season. It’s not likely to happen because it’s so difficult to accomplish and the competition is too good. As Syracuse continues to win, the target on its back only grows bigger. Whether we lose in the coming weeks or not, this team has everything that you look for in a tournament contender and these next couple of months should only make us better leading up to March Madness. Last year’s Final Four run was amazing but this year has the potential to be even more special. 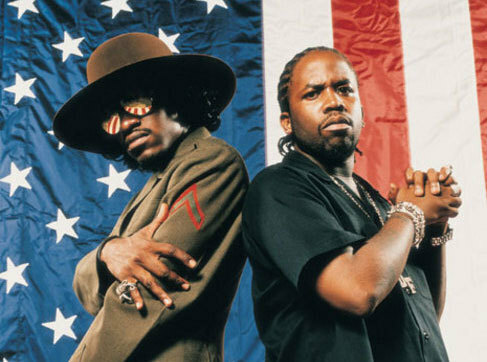 As rumored a couple of months ago, Outkast will be headlining Coachella in 2014, which is fantastic news. More good news, they have also announced a 40-date festival tour for the Spring and Summer. Andre 3000 and Big Boi have always pushed the envelope musically and it’s about time that they reunite on stage. When you think of their entire repertoire, they are going to put on an amazing show. They have so much good music and the the more I go back and listen to their older albums, the better they are. Fans have been waiting for this announcement for years never knowing if it was actually going to happen. This week all Outkast fans got their wish and I just hope I can make it to Coachella or at least one of those live shows.